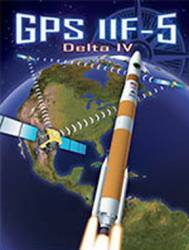 The GPS Block IIF program continues to lose ground, with first launch of a satellite now projected as no sooner than May 2008 and as late as January 2009 in a “worst case,” scenario, according to the U.S. Air Force. Program costs are also increasing. As first reported in a news in Inside GNSS’s May/June issue, “technical difficulties” were contributing to the delay in the program, which previously had expected to launch its first new spacecraft in January 2007. 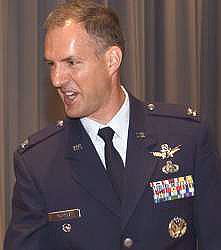 The Air Force attributed the development and production delays with space vehicles 1 – 3 to the following: the complexity of the M-code application specific integrated circuit (ASIC) design; the magnitude of the effort required for assembly, integration and test progress; late subcontractor navigation payload hardware deliveries. The problems are expected to add to program costs. An independent cost estimate was conducted in conjunction with a broader review of the IIF program’s technical and programmatic performance. “As a result of this review, the program is now being managed to a more realistic schedule and is funded at a higher confidence level,” says the Air Force. Boeing holds about $1.3 billion in contract awards to build the first nine IIF satellites, in addition to a $215-million IIF development contract. 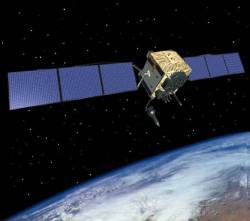 The Air Force also expects to order another three of the satellites from Boeing. Block IIF spacecraft will transmit the new civil GPS L5 signal at 1176.45 MHz, which is expected to get heavy use by commercial aviation because it lies in a protected aeronautical radionavigation services band. The Air Force also noted that it has seven IIR-M satellites which can be launched in the next three years to ensure the GPS constellation is sustained until the first IIF launch in May 2008.